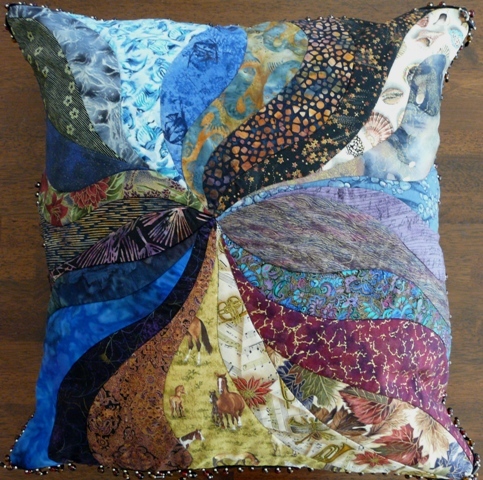 This is a large pillow, 25″ x 25,” commissioned for a young woman. This is my third commission for her. Her mother has remembered her 6th, 12th, and 18th bithdays with original work. Each one reflects who she has become as she has grown. It’s been a lovely journey with her. …and the slide show. I love slide shows…have you noticed?! This entry was posted in Art, Fiber Art and tagged Art, Fiber Art, Gifts, Stephanie Nead, Stephanie's Creations, Textiles. Bookmark the permalink.